It's that time again! Time for yet another WWE PPV! Over the past couple of weeks WWE have done their best to big this Money in the Bank card up, even saying that the two co-main events are "WrestleMania worthy" matches. To be fair, they're right. Who wouldn't want to see AJ Styles and John Cena duke it out on the grandest stage of them all? 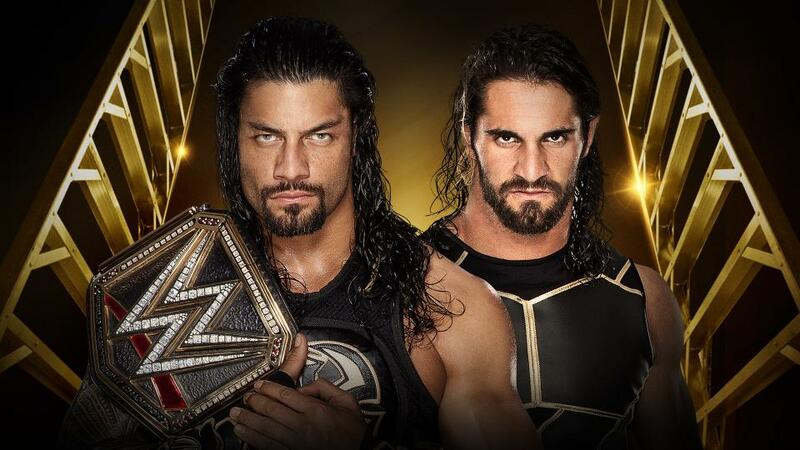 Maybe Roman Reigns vs. Seth Rollins was even the plan for the previous WrestleMania. Lets start off by getting the Pre-Show matches out of the way. First, Golden Truth vs. BreeZango (What a dreadful name). It's great that these four guys have something to do but that's really all this is. Tyler Breeze and Fandango have been getting the better of Goldust and R-Truth on TV recently so expect Golden Truth to walk away with the win. In the other match, The Dudleyz Boyz face The Lucha Dragons. The Dudleyz have been a bit off since returning. A heel turn reinvigorated them a little but since then they've not really done anything. They were clearly brought back in to help put over younger talent but the problem is, not one team they've put over has looked stronger for it. The MITB Ladder match opened the show last year and I expect to see the same this year. Unlike last year however, this match looks to be a good one. This 6 man ladder match is filled with top talent and the most intriguing part is that you can make a good case for everyone to leave with the briefcase. Kevin Owens and Chris Jericho would be excellent choices for a sneaky heel to cash in. Dean Ambrose would make the situation with Roman Reigns and Seth Rollins far more interesting, Cesaro and Sami Zayn are fan favourites and even Del Rio could use the case to reinvigorate his run in WWE right now. Apollo Crews is a strange conundrum for WWE. He is incredibly talented and agile in the ring for a man his size but ever since joining NXT there has been so little character development. I was incredibly shocked when WWE decided to bring him up to the main roster the night after WrestleMania when it was clear he wasn't ready. In the eyes of the audience, all he is is a guy who smiles and wants to wrestle. How are people supposed to care about that? Even his opponent, Sheamus is more of an interesting character. Maybe a heel turn for Apollo would be an interesting way to go. 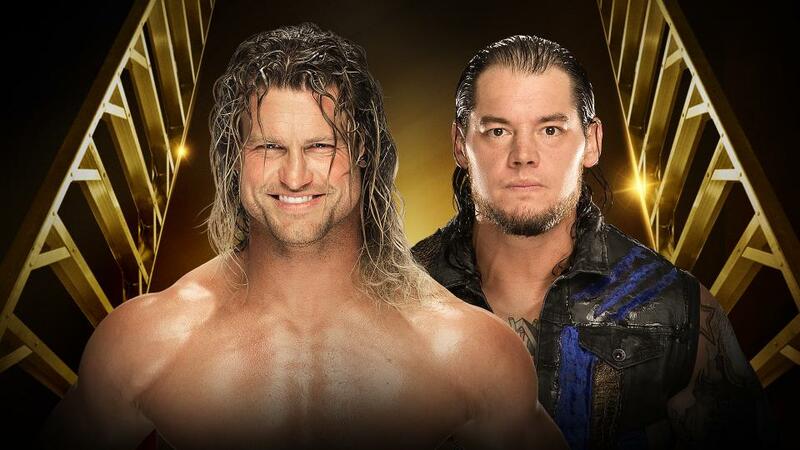 Speaking of Baron Corbin and Dolph Ziggler, why is this rivalry still going on? There was such high hope for Baron Corbin after winning the Battle Royal at WrestleMania but since then he's just been floundering. Corbin is a unique heel for WWE because he's only of those guys who has no interest in entertaining the crowd and just wants to do his own thing. It's very rare in this day and age. Personally I think he should be near a mid card title. Just looking at this match on the card makes me sad. Coming out of WrestleMania we expected so much from WWE and their women but it's been a colossal disappointed. The blame has to fall on the shoulders of WWE and their creative team. Natalya and Charlotte have tried their best but the combination of poor booking lack of screen time has caused people to just stop caring. Now it's gotten to the point where we're back to have women's tag matches on PPV. WWE should take a look in the mirror and be seriously disappointed. I like Rusev but I'm not really interested in this match personally. Titus came back from a suspension and was immediately inserted into a United States Championship feud. Why? Where is the logic behind that? To create a compelling story it needs to make sense. Titus cutting to the front of the line ahead of everyone doesn't make any sense. Add to that the fact that there really isn't much going for this feud and we have a match that no one is particularly invested in. This one should be very good. Since WrestleMania the Tag Team division has been getting a lot of love and credit to WWE, they've actually done a good job with it. The Vaudevillians have done better than I thought, Enzo and Cass have been as popular as every thought they would be and New Day are still at the same level they've been at for months. Add The Club to that mix and this match is sure to be a great one. This match hasn't even happened yet and people are already touting it as a Match of the Year contender and you can see why. AJ Styles is still arguably the best wrestler in the world right now (cases can be made for the likes of Rollins) and Cena proved last year that he is a lot better in the ring than many people give him credit for. This has a legitimate big fight feel and is to many people, including myself, the more enticing match at MITB ahead of Rollins vs. Reigns. WWE have done really well with this feud. While an AJ Styles heel turn was considered strange at the time, he's proved in Japan that he is arguably a better heel than a face. And so it's finally here. The first ever singles match up between Seth Rollins and Roman Reigns on PPV and to me it feels like it doesn't feel as big as it should be. Even with the WWE title involved, this doesn't feel as big as Cena vs. Styles. A lot of this lies with WWE's booking again. Seth Rollins had an incredible amount of momentum after returning from Injury. All of that has now dissipated because WWE insist on keeping Roman face. During Rollins' second week back, they had him run back and forth from the ramp to the ring to "taunt" Reigns. All of that was a waste of a weekly segment and don't give me the whole "They were checking his Knee". Rollins stated he wouldn't have returned if he wasn't 100% and Doctors wouldn't have cleared him either. All in all, while this match will be good, If it goes on immediately after Cena vs. Styles then they may struggle to win the crowd over. 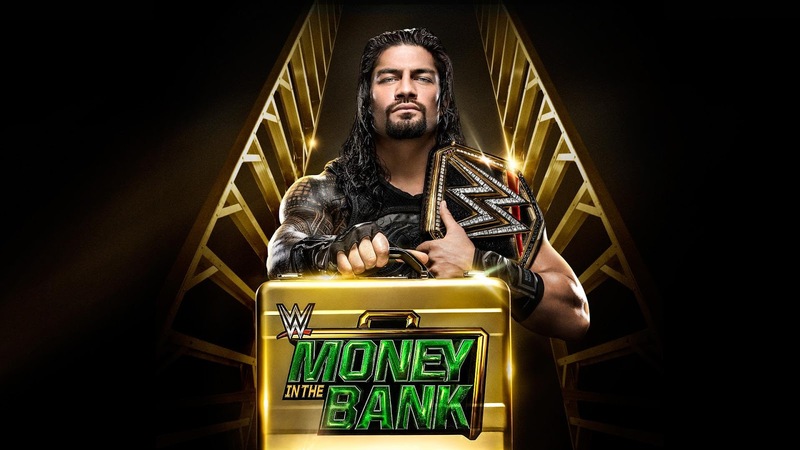 Preview and predictions for WWE PPV Money in the Bank on Sunday 19th June 2016 in Las Vegas featuring Roman Reigns vs. Seth Rollins and John Cena vs. AJ Styles.